Reading, UK. Oct. 30, 2017 – IGEL, a world leader in endpoint management software for the secure enterprise, today announced that its Universal Desktop™ (UD) series UD3 thin clients now include support for the Microsoft® Windows® 10 IoT Enterprise platform. The new IGEL UD3 thin client features an AMD Embedded G-Series “Steppe Eagle” quad-core processor and comes standard with 4GB RAM and 32GB flash memory. In addition to Windows 10 IoT Enterprise, the UD3 also supports IGEL OS™, a secure Linux-based operating system. Offering a modern and customisable user interface (UI), IGEL OS enables the hardware-accelerated decoding of multimedia content and protocols with supported chipsets. The IGEL UD3 thin clients also feature support for high-performance video and graphics capabilities, including HD video and 4K video streaming. “The wide-range of capabilities already available with the IGEL UD3, when combined with support for the Windows IoT Enterprise platform, enable organisations of all sizes to improve end-user productivity, while at the same time gaining greater security and control over their endpoints,” continued Brooks. The IGEL UD3 also comes pre-configured to support industry-leading virtualisation protocols including Citrix HDX, Microsoft RDP/Remote FX or VMware Horizon. Organisations can add or re-configure these supported virtualisation protocols leveraging the IGEL UMS to quickly transition between protocols, and make changes to their entire network of thin clients, or a specific endpoint. The IGEL UMS also enables IT organisations to add and remove endpoint devices, and perform software upgrades as needed or required. 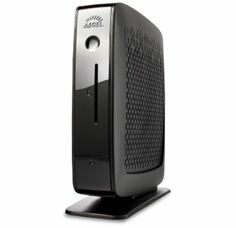 Each IGEL UD3 thin client comes standard with a free extended five-year hardware warranty, and includes a software licence that provides access to regular and frequent firmware updates, enabling IT organisations to preserve their hardware investment while taking advantage of new features and functionality that become available. IGEL UD3 thin clients featuring Windows 10 IoT Enterprise will be available starting on Oct. 26, 2017 and can be purchased through IGEL’s network of Platinum Partners, Authorised IGEL Partners (AIPs) and resellers. To experience the capabilities of IGEL’s OS, Universal Desktop Converter™ (UDC) and UMS, download here https://www.igel.com/download?utm_source=wire&utm_medium=press-release&utm_campaign=company-news&utm_term=ums-universal-desktop-converter&utm_content=UD3-iot-download, or request free evaluation hardware.